The beautiful structured lines and stunning detailing of the Granley brings a touch of elegance to any bathroom. Manufactured to the highest standards from vitreous china, this Semi-Recessed Basin has elegant curves that will suit any period bathroom and comes with the option of 1, 2 or 3 tap holes. 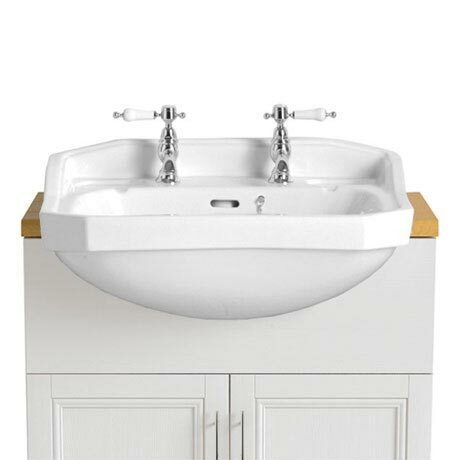 Designed to be used with the Classic 640 Vanity Unit which is pre-cut for this basin. Heritage offer a lifetime guarantee on all their sanitary ware.